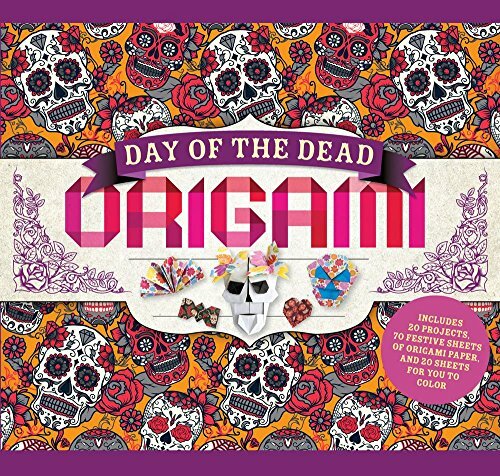 Celebrate the Day of the Dead festivities with this innovative origami book! You'll find folding instructions for 20 designs, plus 70 sheets of origami paper in gorgeous patterns and 20 sheets for you to color yourself. An interesting introduction to The Day of the Dead leads into the art of origami and how the two things will work together to help you create beautiful crafts that honor this ancient holiday. You'll discover Dia de los Muertos-themed crafts and projects, including sugar skulls, Aztec-inspired flowers, flower crowns, Spanish boxes, standing fans, candy, and more.